In fiscal year 2017, the work of the Supervisory Board of Volkswagen AG and its committees focused once again on realigning the Volkswagen Group as part of the Group’s TOGETHER – Strategy 2025, and the investigation of the diesel issue. The Supervisory Board of Volkswagen AG addressed the Company’s position and development regularly and with particular intensity in the reporting period. We supervised and supported the Board of Management in its running of the business and advised it on issues relating to the management of the Company in accordance with our duties under the law, the Articles of Association and the rules of procedure. We also observed the relevant recommendations and suggestions of the German Corporate Governance Code (the Code) at all times. 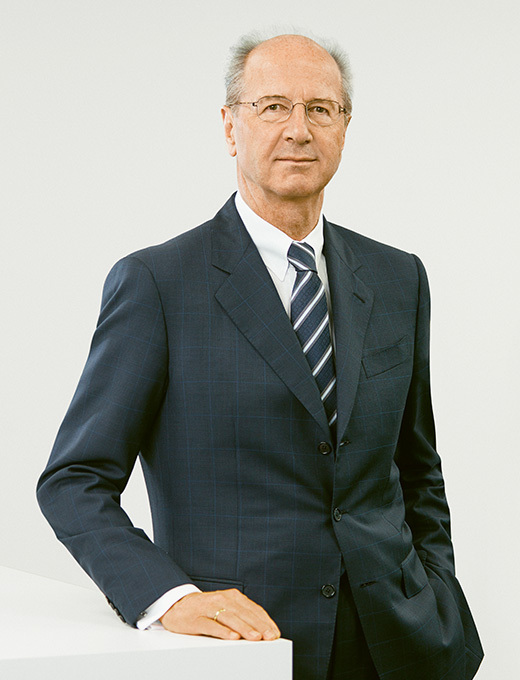 The Supervisory Board was directly involved in all decisions of fundamental importance to the Group. We additionally discussed strategic considerations with the Board of Management at regular intervals. The Board of Management regularly, promptly and comprehensively informed the Supervisory Board in writing or in person on all matters of relevance to the Company relating to its strategy, the business development and the Company’s planning and position. This also included the risk situation and risk management. In this respect, the Board of Management also informed it in particular of improvements to the risk and compliance management system with regard to the diesel issue. In addition, the Board of Management informed the Supervisory Board on an ongoing basis about compliance-related topics and other topical issues. In all cases, we received the documents relevant to our decisions in good time for our meetings. At regular intervals, we also received a detailed report from the Board of Management on the current business position and the forecast for the current year. Any variances in performance that occurred as against the plans and targets previously drawn up were explained by the Board of Management in detail, either in person or in writing. Together with the Board of Management we analyzed the reasons for the variances so as to enable countermeasures to be derived. In addition, the Board of Management presented regular reports on current developments in connection with the diesel issue at the meetings of the Special Committee on Diesel Engines. The Chairman of the Supervisory Board consulted with the Chairman of the Board of Management at regular intervals between meetings to discuss important current issues. Apart from the diesel issue, they included the Volkswagen Group’s strategy and planning, the business development, the Group’s risk situation and risk management, including integrity and compliance issues. The Supervisory Board held a total of twelve meetings in fiscal year 2017. The average attendance ratio was 84.6 %; all of the members of the Supervisory Board attended over half of the meetings of the Supervisory Board and the committees of which they are members. In addition, resolutions on urgent matters were adopted in writing or using electronic communications media.